Despite being a relatively recent invention, e-cigarettes are fast becoming a popular alternative to smoking, with many people choosing them in a bid to give up smoking or to reduce many of the harmful effects of smoking tobacco. If you are new to the idea of e-cigarettes, it can seem a little confusing to begin with, particularly with so many options available. 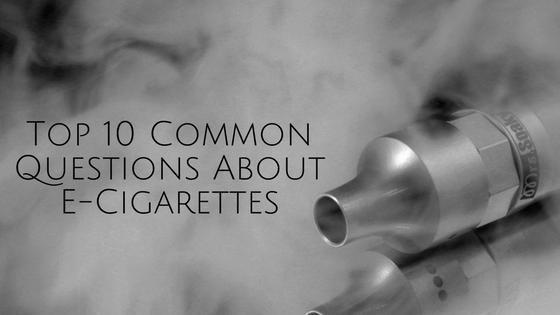 Here are 10 of the most frequently asked questions associated with vaping. 1. What exactly is an e-cigarette? One of the most common e-cigarette questions is what is it exactly? Essentially, an e-cigarette, or e-cig, is an electronic device that produces a vapour when a liquid inside the device is heated and boiled. When a user inhales through the mouthpiece of the e-cigarette, the boiling liquid creates a vapour stream. Vaping is the term used to describe using an e-cigarette, and its purpose is to mimic the act of smoking. The liquid that is put in an e-cigarette to create the vapour is known as an e-liquid or e-juice. This can be made up of a number of substances, including propylene glycol, vegetable glycerin, water and a wide range of flavourings. Some e-liquids also contain nicotine – a substance also found in cigarettes – to satisfy the demands of those wanting a similar experience to smoking. With such a wide variety of e-liquid flavours to choose from, one of the things to know about e-cigarettes is the measurement of nicotine strength, usually denoted in milligrams or mg. In order to heat the liquid into a vapour in an e-cigarette, the device also needs to be powered by a battery which is almost always rechargeable. 2. What kind of e-cigarette should you choose? If you are new to the world of vaping, it can seem like a minefield to begin with, with so many different models and liquids to choose from. When it comes to the really important things to know about e-cigarettes, however, and which type will suit you, it all depends on what kind of vaping experience you are looking for. Essentially, it’s down to personal preference, mixed in with an element of trial and error. There are three things that you will need to consider: what kind of e-cigarette device you prefer, the flavour of the e-liquid and the strength of the nicotine (if any). E-cigarettes that use a refillable tank system allow you to experiment with a wide choice of e-liquid flavours. Users also report that they provide a better throat ‘hit’ and are cheaper to use in the long run. It can take a while to get used to using this type of e-cigarette, however, and to deliver the vapour, you may need to push a button on the device rather than simply inhale. E-cigarettes that resemble tobacco cigarettes in shape are called cig-a-likes and are activated when you take a puff (inhale). They can be useful for those who want to replicate the smoking experience, but they don’t tend to deliver as much nicotine or vapour as the push-button devices. There are literally hundreds of different flavours of e-liquid to choose from, including fruit, sweet, mint, coffee or tobacco types, so experiment to find one that you like the best. In deciding what strength of nicotine to choose, it’s a good idea to consider your previous smoking habits. If you were a heavier smoker, you might want to opt for a higher strength of e-liquid nicotine, but you can also buy liquids that are entirely free from nicotine. The average 20-a-day smoker should find a nicotine strength equal to 18ml (1.8%) enough to satisfy their needs. In general, it is best to choose the lowest level of nicotine that will leave you feeling satisfied. 3. Does vaping taste the same as smoking a cigarette? When it comes to queries about e-cigarettes, many people want to know how it tastes, and whether the taste is comparable to smoking a tobacco cigarette. The idea of vaping is not to replicate the same taste (although you can get tobacco flavoured e-liquids which come very close), but it is to mimic the action of smoking, such as through the mouth to lung delivery. Current wisdom is that switching to a non-tobacco flavoured e-liquid may prove more successful in replacing cigarettes but this is very much a matter of personal taste. 4. Can e-cigarettes help you quit smoking? There are a variety of aids to help people quit smoking, and e-cigarettes are just one of them. The Government requires that e-cigarettes are NOT promoted as a smoking cessation aid but a quick search on e-cig forums soon reveals that many people have successfully switched from cigarettes to vaping. E-cigarettes can help to reduce cravings, but if you want to quit for good, you will also need good old fashioned willpower. In fact, research shows that increasing numbers are shunning cigarettes in favour of e-cigarettes, with over two million people having already made the switch. Around half of all people who have used e-cigarettes to cut down the amount they smoke will eventually switch to just using e-cigarettes. As well as using smoking cessation aids, getting support and advice from trained professionals, such as a local stop smoking service, is really helpful in the quest to give up for good. 5. Are e-cigarettes healthier than smoking? One of the most common questions about e-cigarettes relates to how harmful they are compared to smoking. After all, what’s the point in switching over if there are no health benefits to be gained? It’s a well-established fact that smoking cigarettes is bad for your health, with the large number of toxic chemicals they contain responsible for causing cancer, heart disease and other illnesses. Cigarettes rely upon a combustion process, producing smoke which contains tar and carcinogenic substances. In contrast, there is no combustion involved in the use of e-cigarettes. They don’t burn tobacco or produce health-harming tar or carbon monoxide. Instead, e-cigarettes vapourise nicotine and contain only a handful of ingredients, so this in itself makes them a healthier alternative to smoking tobacco. Early studies have also backed up the suggestion that e-cigarettes are safer than smoking, with scientists concluding that they are about 95% safer than tobacco cigarettes. Although initial evidence looks promising, more research is still needed due to the fact that vaping is a fairly recent invention. On another positive note, since e-cigarettes don’t produce any smoke, there is no health risk to others associated with passive smoking. Although traces of chemicals have been found in second-hand vapour, it’s thought that these are so low that they aren’t likely to be harmful to anyone around you. 6. Are e-cigarettes cheaper than smoking tobacco? With the ever-increasing price of tobacco burning a hole in a smoker’s wallet, one of the most frequently asked questions about e-cigarettes is are they any cheaper? The good news is, that if you swap from smoking tobacco to e-cigarettes, you will save yourself money. Experts believe that vaping is around 50-90 percent cheaper than smoking tobacco, with some studies showing you could save approximately £2,600 per year. Vaping starter kits cost, on average, between £20-70, but you can find some very basic kits for less than this. It’s probably a good idea to try a basic kit first before splashing out on a more expensive model, to see if vaping is going to work for you. Once you’ve got your kit, there are a few on-going costs. The heating coil, or atomiser, will need changing regularly. How often it will need changing depends on how you use the device and the type you choose, but this can vary between a few days up to a month or even longer. Fortunately, coils are relatively inexpensive to replace, costing on average around £2. You will know when the coil needs replacing as it will burn out, and you will taste the burn or the device will stop producing vapour.  Additionally, you’ll need to purchase e-liquids, and, again, the cost of these can vary enormously. The average 20-a-day smoker would probably get through a couple of 10ml bottles of e-liquid per week, with the average price set around £4 – so you’re probably talking about less than £40 per month. Contrast this with a pack of 20 cigarettes at £11 every day, amounting to some £340 per month. When purchasing your e-liquids, always choose those adhering to quality standards that have been approved by the Electronic Cigarette Industry Trade Association. You will also need to factor in the cost of replacing the battery for your e-cigarette device. Again, there is a significant variation as to how often you need to do this, but it can range from a few months up to a year or even longer. Standard batteries cost from about £10. 7. Can e-cigarettes blow up? There have been reports of incidences where e-cigarettes have blown up or caused a fire, so naturally, one of the most common e-cigarette questions relates to safety concerns. As a rechargeable device that uses batteries, it is sensible to take the same precautions you would with any electrical device when using e-cigarettes. This minimises the risk of the device overheating, blowing up or causing a fire. By far the biggest cause of battery issues is a failure to use the correct charger. In particular, iPhone chargers are the worst offenders. Also bear in mind that if you use the wrong charger, any warranties you have on your e-cigarette will be invalidated. Most importantly, always buy your e-cigarette equipment from a reputable supplier, so you can be assured of a quality product. A good quality battery and charger should come with overcharge protection. Inferior quality imports may not. Other measures you can take to promote safe use of e-cigarette equipment include not leaving a device unattended during charging; never using a damaged battery; and keeping batteries out of direct sunlight and away from extreme heat or cold. Always store your e-cigarette paraphernalia in a safe place, especially out of reach from children. 8. Is vaping legal in public places? The smoking ban was introduced in 2007 making it illegal to smoke tobacco products indoors in public places, such as restaurants, bars and working environments. Since vaping is a fairly recent trend, the use of electronic cigarettes was not included in the initial ban. However, many public places have banned vaping, so it is always a good idea to check before you vape. In particular, vaping is banned on most public transport systems in the UK, including the London Underground, as well as at UK airports and some sports stadiums. Obviously, the laws may change over time, so it’s good to keep your eyes open for any signage regarding the use of e-cigarettes, and to be courteous and respectful to those around you when using e-cigarettes in unprohibited spaces. 9. What other benefits are there to be gained from switching to e-cigarettes? In addition to being a healthier and cheaper alternative to smoking cigarettes, switching to vaping means you won’t have to suffer from stale smoke smells on your clothes or breath. There are no dirty ashtrays to contend with or stained teeth and fingers. Plus, it’s far more socially acceptable than tobacco smoking. 10. Is it safe to use e-cigarettes during pregnancy? It is common knowledge that smoking during pregnancy can harm the health of an unborn child, so it stands to reason that one of the most common e-cigarette questions amongst expectant mothers is whether e-cigarettes are safe to use or not during pregnancy. Health professionals recommend that cigarettes of any sort, whether tobacco or electronic, should be avoided during pregnancy. The reason that e-cigarettes are best avoided during pregnancy is that they are still relatively new and the side effects are not yet fully understood. Research to understand the risks of vaping during pregnancy is on-going, so it is not known how the chemicals in e-liquids can impact an unborn baby. However, if you are really struggling to give up smoking during pregnancy, using e-cigarettes instead is, arguably, a better option, particularly if you use an e-liquid with no nicotine. Studies have shown that nicotine can narrow the blood vessels, which may restrict oxygen and nutrients to the baby.